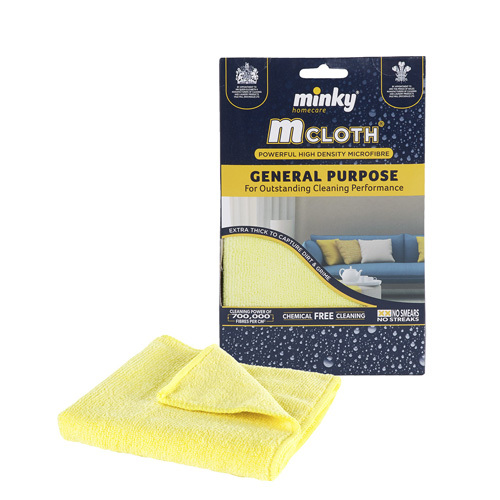 Minky Mcloth, powerful, high density microfibre general purpose cloth for outstanding cleaning performance. Extra thick to capture dirt and grime. Cleaning power of 700,000 fibres per sq cm.